What do you think of when you’re asked to define “a period of time”? It all depends on what you’re referring to, right? In the insurance industry, it is very important to clearly define what “a period of time” means, especially when it can affect your coverage after a loss caused by water damage. Most insurers have agreed upon a defined period of time that will be the determining factor in whether your claim will be accepted or denied. However, State Farm has added ambiguous language to their water damage coverage clause, making it difficult for homeowners like you to know if you’ll get the money you deserve to restore your home. How Do Insurers Determine Whether You’re Covered? Almost every policy out there will start by first outlining what “long term and repeated” means when referring to the seepage of water. For a very long time, nearly every policy defined this as “leaks which occur over a period of weeks, months, or years.” Pretty broad definition, right? Here at Wheeler, DiUlio, & Barnabei, we agree, and have hotly contested the true definition of “long term and repeated” in court. After many legal battles and much back and forth, carriers have finally started to change this language to make it clearer. Many insurers now define “long term and repeated seepage” as occurring for a period of time greater than 14 days. This time frame was chosen after the Court determined that “weeks, months, or years” means at least more than 14 days (falling under the definition of weeks as a multiple, not just one week or a few days.) Finally, we have reached a clear definition of what constitutes “long term and repeated seepage”, and your provider will outline your coverage accordingly in your policy. That is, unless your insurer is State Farm. If State Farm has denied reimbursement for water loss based on language stating the leaks occurred “over a period of time,” contact Wheeler, DiUlio, & Barnabei immediately. What Makes The State Farm Water Damage Coverage Clause So Unique? Why would State Farm go and change their policy to make it more ambiguous? Unfortunately, this is their way of trying to get out of paying you when you suffer a loss, in the hopes that you won’t fight back when your claim is denied. It is important to know that this is forbidden, and will result in a lawsuit and bad faith claim. In the past few years, State Farm has changed their policy to state that continuous or repeated leaks which occur “over a period of time” are not covered. They have created their own ambiguous time frame and then interpret this language in favor themselves. They are not allowed to do that and in our opinion is basis for a bad faith claim. This raises a critical question: what exactly is that “period of time”? A second? A minute? A month? A decade? At what point is the damage no longer covered under State Farm’s policy? The State Farm water damage coverage clause provides no explanation as to how long water seepage can occur before they are no longer obligated to provide coverage for damages. Imagine you have a leaky pipe. You can’t see it because it is hidden behind the walls of your home. Finally, after a month, the leak shows its ugly face in the form of water stains appearing on your walls. You contact State Farm to submit a claim in the hopes that it will be approved and you can begin making repairs before the leak gets worse. State Farm denies your claim, stating that the damage was caused by a “continuous leak” which has occurred over “a period of time”, and therefore not covered under your policy. State Farm has tried to do this in all kinds of scenarios. 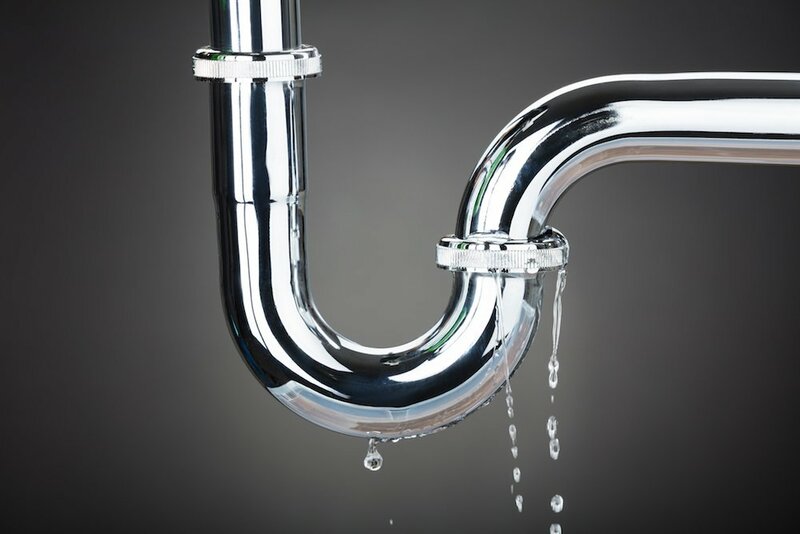 Other times this may come into play; a leak starts while you are temporarily staying with your mother who is recovering from surgery, a leak in your attic that you discover when you go up to put holiday decorations away, or a water line to your fridge that is leaking behind your cabinets and impossible. Again, this practice is forbidden by the Court. The law is very clear that, when a policy is ambiguous, it must be interpreted in the way most favorable to the insured (you). Period. End of story. However, when State Farm denies your claim based on this language, they are interpreting the ambiguous policy in their own favor. By denying your claim under this exclusion, State Farm is knowingly acting in bad faith. Which means that, in addition to receiving reimbursement for damages caused by water leaks, you could be entitled to an additional financial award from State Farm. Wheeler, DiUlio, & Barnabei are continuously fighting State Farm over this issue. We will not stand by and allow this massive corporation to take advantage of homeowners like you, by blatantly violating the laws put in place to protect you. If you have been denied a claim under this exclusion, you should contact us every time. Because every time, State Farm is wrong.